Recruiting the best for your business. Bellish & Associates LLC, exemplifies the passion of founder Pam Bellish: recruiting the most qualified candidates for your business. "I believe our success depends on doing what's right for our clients and our candidates - it's that simple. It's about the satisfaction of a job well done; finding the perfect fit for both the employer and the candidate. I'm uniquely positioned because I have both the engineering expertise to understand the technical aspects of a role and the recruiting experience to find the optimal match. I look forward to partnering with you to achieve your continued success!" 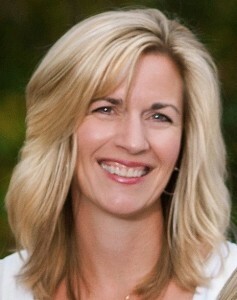 Pam Bellish is a Certified Personnel Consultant (CPC) and has a B.S. in Electrical Engineering from The Ohio State University. She has over 20 years of professional experience in engineering and recruiting in market sectors including Manufacturing, Telecommunications, Industrial & Municipal Water Treatment, Chemicals, Specialty Chemicals, Industrial Cleaning, Environmental, Pulp & Paper, Refining & Petrochemical, Oil & Gas, and Engineering & Construction. Pam is an active member of the Ohio Recruiters Association (ORA) and is certified through the National Association of Personnel Services (NAPS).